This month, up! 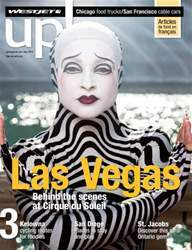 celebrates the 30th anniversary of Cirque du Soleil with a behind-the-scenes look at one of its most popular Vegas productions, "O". Plus, family-friendly resorts in San Diego and foodie-friendly cycling routes in Kelowna, B.C.